This is the time the whole world is waiting for, Christmas and New Year are approaching. The world is getting thrilled to celebrate the festival season now. This year, we’ve brought great-valued gifts along with WonderFox for our readers. 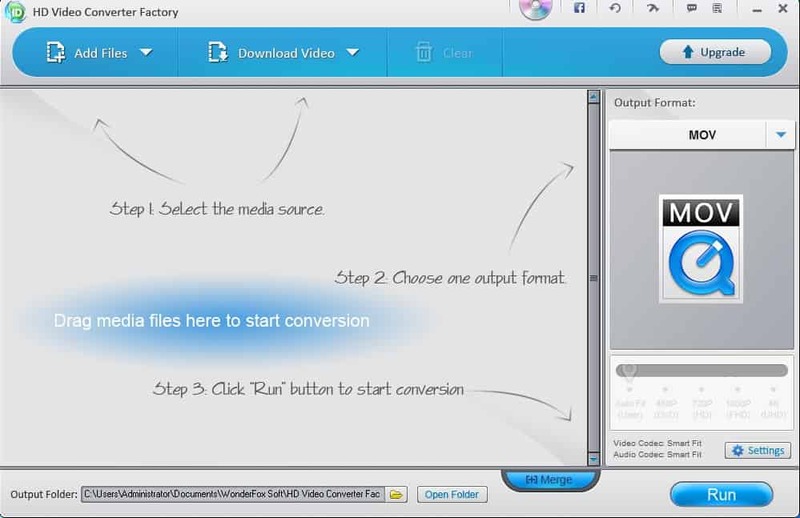 HD Video Converter Factory Pro is designed to convert your video/audio files to 300+ formats and devices, including: AVI, MP4, MKV, WMV, MPG, MOV, M4V, VOB, WAV, FLAC, ALAC, MP3, AC3, AAC, WMA, MKA, M4A, M4B, etc. Besides, HD Video Converter Factory Pro is also equipped with advanced High-Definition (HD) video conversion technology. It works the best on converting videos from Standard-Definition (SD) to High-Definition (HD) like HD MP4, HD MKV, HD AVI, HD MTS, HD TRP, even 4k standard. What makes it stand out from others is it will downsize video(convert HD videos to SD videos) with Minimum Quality Loss! Thus you are able to free up some storage space on your devices. WonderFox DVD Video Converter is a all-in-one video converter. It is basically designed to back up DVDs to digital formats, including: H264, HD AVI, HD MP4, HD MOV, FLV, HD WMV, AVI, MP4, VOB, MKV, TS/MTS/M2TS, WMV, MPEG, WEBM, etc. Besides, it can also be used to convert video and audio files. And last, it’s also an online video downloader, it supports to download YouTube video. Worried about that your uploaded photos will be used by others without your authority? Watermark Software is the best solution for you to protect your copyright. 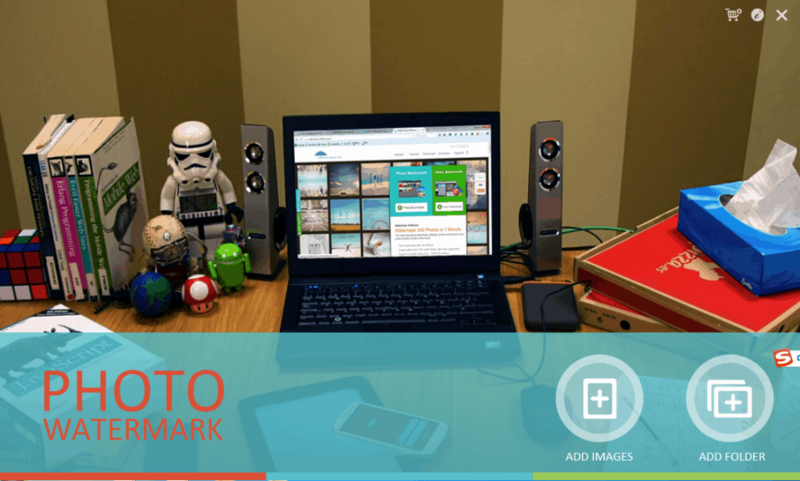 With this photo watermark processor, you can not only add text but also image as watermarking. And you are provided with an easy-to-use interface, that is, even a beginner can simply add watermarks with a few clicks. Watermark Software can also be used to edit your photos with some editing features, such as: crop, mosaic, blur, sharpen, darken, etc. 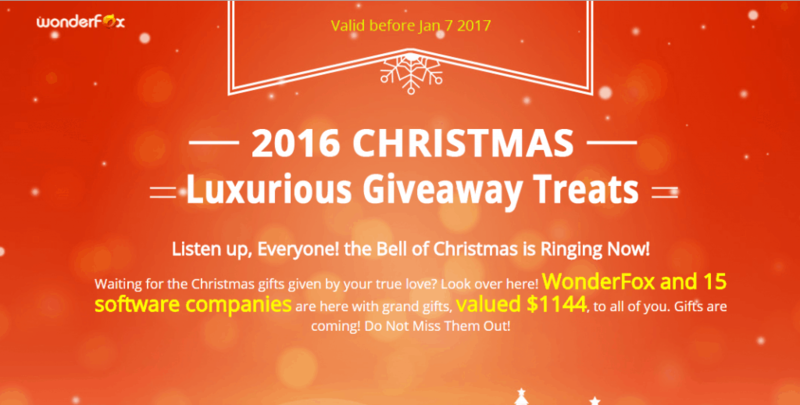 Note: Wonderfox round 2 giveaways will begin at 28th December, increasing surprises are approaching, don’t miss them out!